Argentinian prosecutor Alberto Nisman was found dead of a bullet in the head in his apartment and a gun beside him. His death is a prime manifestation of the shadows of political intrigue – an attempt to cover-up a cover-up for political and commercial interests much like an episode from “House of Cards”. His death (murder or forced suicide) implicates governments and statesman, terror organizations and terror states. The Argentinian government at first decided that Nisman had committed suicide despite the fact that it goes against all logic, as he was to appear publicly the next day for the performance of his lifetime efforts. 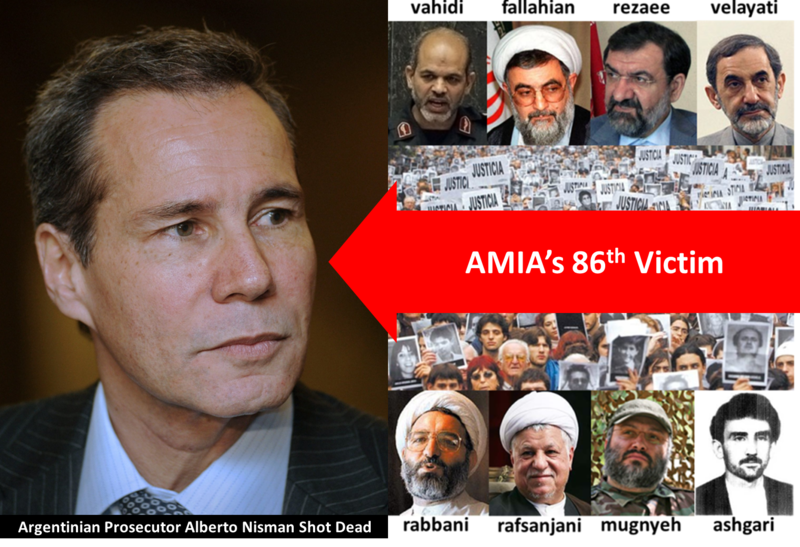 But others immediately announced that Nisman had become the 86th victim of the AMIA bombing, nearly 21 years later. 21 years ago, on July 18th 1994, a bomb exploded in the AMIA (The Mutual Society of Argentina and Israel) center killing 85 innocent civilians and injuring hundreds more. As I outlined in my previous post on this matter, the investigation pointed towards Hezbollah, and more importantly, Tehran. Over the next few years, the prosecution issued numerous warrants for the arrests of Hezbollah operatives as well as a large number of Iranian diplomats and politicians including: President Rafsanjani, Iranian ambassador to Argentina Soleimanpor, Iranian cultural attaché in Argentina Rabbani, IRGC commander Vahidi (later defense minister), Iranian intelligence minister Fallahian and presidential candidates Rezaee and Velayati (Khamenei’s right hand man). Tehran, of course, denied all and made a big deal about blaming “Zionist” elements for even suspecting them. Out of all of the suspects, only Soleimanpor was questioned and subsequently released. The others either escaped Argentina or stayed put in Tehran leaving too many questions unanswered. The case was marred by accusations of cover-ups and corruption and as the years went by, more accusations and warrants were issued but no one was yet to be indicted. For the governments of Buenos Aires and Tehran this was bad news, as trade between the two countries was severely hampered. So, after 19 years, the respective foreign ministers met and signed a memorandum to set up a joint “truth commission”. The idea was simple: set up a mutual Argentinian/Iranian commission which would ease the pressure on both countries. 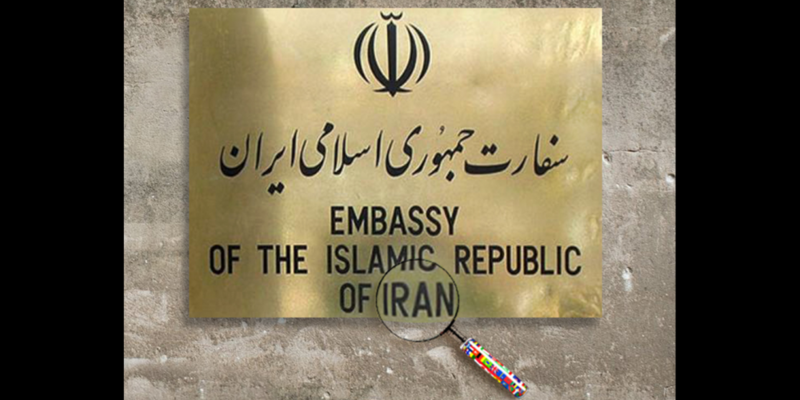 The memorandum was meant to ease the investigations against the Iranian diplomats and finally allow for the trade that both countries desperately wanted. In the process, Iran absurdly went from being or harboring the chief suspects of this crime to becoming partners with the police that was investigating the suspects. Tehran thought the case would be conveniently closed. They forgot about Nisman, the untouchable justice seeker, who took over the case back in 2005 (by directive of the previous President). His scathing report (2013) accused Iran of setting up an infrastructure of terror and subversion in many south American countries while abusing diplomatic immunity, stating that Iranian so called “cultural centers” had become hubs for Hezbollah operatives, Iranian diplomats, Qods commanders and local anti-US leaders. The above mentioned memorandum went against the judicial process, overturning many decisions by the courts, raising public criticism. Within the year, Nisman managed to convince the Argentinian court to declare the agreement as unconstitutional. Nisman now further charged the government of being involved in a massive cover-up that reached all the way to then Argentinian president Kirchener and his daughter, Argentina’s current president Fernandez de Kirchner: “The president and her foreign minister took the criminal decision to fabricate Iran’s innocence to sate Argentina’s commercial, political and geopolitical interests“. Nisman had seemed worried that he might be a target for an assassination but assured that “with Nisman around or not, the evidence is there” in a TV interview last week. Since he is now dead, we can only hope that the evidence will come to light. So the AMIA case just got more complicated, or more simple, depending on your point of view. I have no doubt that Nisman was eliminated by a Hezbollah/Qods operative in Buenos Aires with or without the help of the Argentinian government in an effort to silence Nisman’s accusations. His life is a small price for the potential billions of dollars in trade between Tehran and Buenos Aires. And so, Iran remains far from the hands of justice…for now. This entry was posted in Uncategorized and tagged AMIA, Argentina, Hezbollah, Mohsen Rabbani, Noisman, Qods, Terror by mmellissa78. Bookmark the permalink.